Ah, Buffalo music scene, how do I love thee? Let me count the ways. One feature of our scene that has been delighting me with increasing frequency of late is the desire on the part of event organizers and musicians – and the subsequent enthusiasm with which music lovers receive it – to present programs that embrace and celebrate a broad swath of genres. We’ve got it all here, genre-wise. Why should we hoard it? And even more importantly, why should we segment, divide, and build walls between the various sub-scenes happening here? Lindsey Taylor, founder of the Beau Fleuve Festival, is a man who understands this. 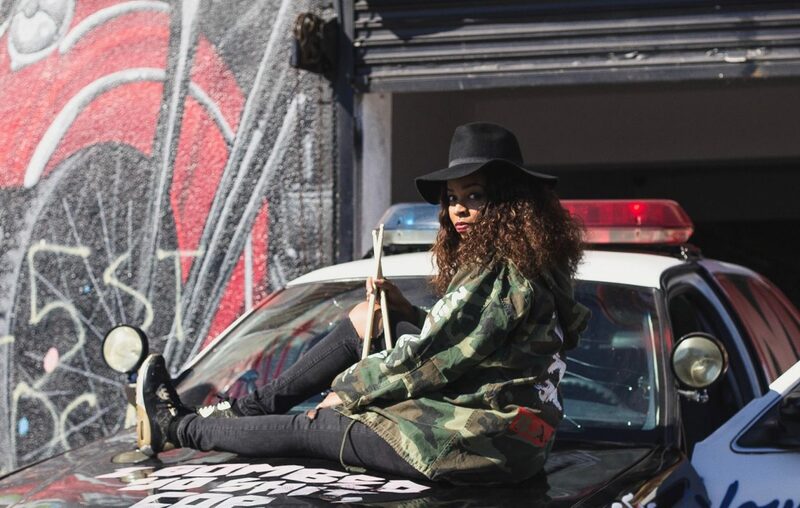 He recently launched the Arts & Beats series at the Imagine Event Center, where at 7 p.m. on April 5, Beyonce drummer and Lockport native Venzella Joy will be headlining an all-female roster. “We wanted to provide the city with a monthly concert and art series that they can look forward to, one that features all genres of music, art, poetry and celebrates small businesses in the region,” Taylor said. 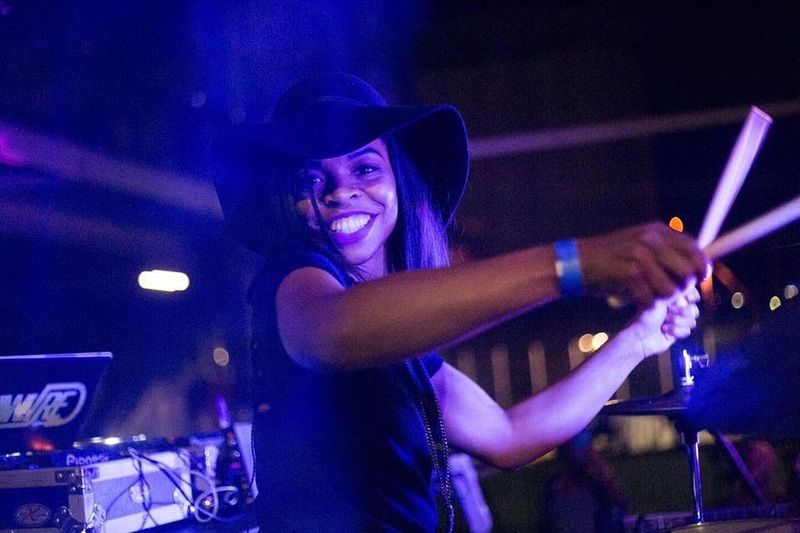 In Taylor’s view, Joy – the Canisius College graduate, veteran of MTV’s “Making the Band,” and since 2014, powerhouse drummer at the heart of Beyonce’s “all-girl” band – is a perfect choice to represent the deep regional talent pool Arts & Beats seeks to celebrate. "She's a perfect fit, because she represents the true talent from this area,” Taylor said. Jeff Martin, Jeff Burrows and Stuart Chatwood, known to us all as progressive/alternative/world music collective the Tea Party, have sold out a pair of nights at the Town Ballroom. The band’s “Black River” tour brings the band here for shows at 7 p.m. April 5 and April 6. SeatGeek and the like are your only hope, at this point. Ed Croft, one of the more vital jazz bassists in town, is presenting an incredibly cool show at Pausa Art House (19 Wadsworth St.) at 8 p.m. April 5. Blues guitar maestro and Buffalo Music Hall of Fame inductee Jony James is revered as one of the deepest, most visceral blues guitarists in town, but for Croft’s “The Jazz Side of Jony James,” listeners will be treated to the man’s takes on classics associated with the likes of Benny Goodman, Count Basie, and Charlie Parker. Croft will man the bass, obviously, and drummer Bob Price will round out the trio. ($10, door). Finally, take at least one night off in the coming to days to the recently-unearthed and -released lost Marvin Gaye album "You’re the Man.” It’s an absolute gem, and it’s amazing that this brilliance has stayed under wraps for so long.